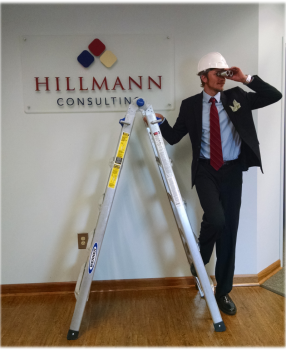 Hillmann Consulting, LLC is a successful Environmental and Engineering consulting firm. After all, they have been in business since 1985 and have been recognized by Zweig Group as one of the fastest-growing firms in the industry for the past 3 years. Your Property. Our Priority is their mission. Their commitment to service is clear and has proven to be one of the major cornerstones of their success. They build long lasting relationships with their clients, offering them the peace of mind they need when environmental concerns arise or the unthinkable occurs. This dedication to their clients was part of their culture, yet certain business practices regarding keeping clients happy as well as some inefficient business practices came at a high price. They were not as profitable as they desired – like many other firms in the A&E industry, they were growing but not seeing the same growth to the bottom line. In 2014, their management team recognized that if they made some internal business/project management changes, they could provide even more value to their clients and increase their profitability at the same time. With the growth they had experienced, they recognized a lack of uniformity in the way they were operating from a project management standpoint. This encompassed everything from estimating, to the proposal process, through to change orders. While the staff members were technically proficient, they wanted to improve project performance and give their entire staff keener business skills. Recognizing that many employees are only familiar with the piece of work they do, they wanted to find a way to have the team understand what goes on behind the scenes, and how all aspects of client and project management tie together. As Chris Hillmann, President, states “The need for change came from a desire to understand what goes into effective project management. Why the entire process is important and having processes in place, and following them, makes a difference to our bottom line.” In addition to providing more value to their clients, they knew that consistency would also lead to increased profit. In order to evaluate the available industry-specific training, the committee sent some staff to several different off-site 2-3 day bootcamps, but realized that sending a few people away at a time was not going to provide the type of deep behavior and cultural change they were looking for. They were also very busy with client work and couldn’t afford to have most of their technical staff out of the office for several days at a time. The Hillmann team had recently implemented the Deltek Vision system and worked with June Jewell in the past to help them with their systems and processes. 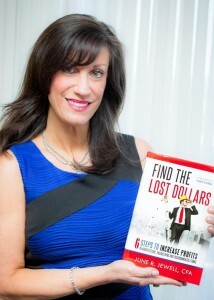 The firm executives had read June’s book “Find the Lost Dollars: 6 Steps to Increase Profits in Architecture, Engineering and Environmental Firms,” and when they learned that June had developed a training course based on the content of the book, they knew this would be the program that would meet their list of needs. They believed that if all of their staff would practice the recommendations in June’s book, they would be more successful and profitable. After thoroughly evaluating options and considering the benefits of online training, they invested in the Find the Lost Dollars Business Management Training Program offered by AEC Business Solutions. 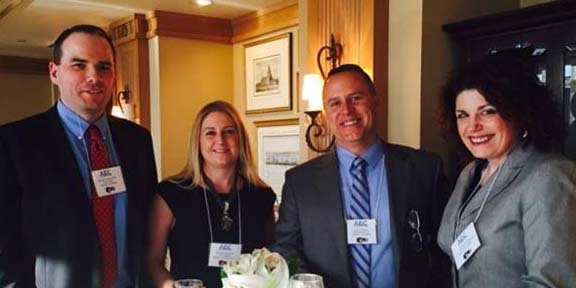 Before starting the training, Hillmann implemented the Business Management Assessment Tool that AEC Business Solutions offers as part of their overall solution. 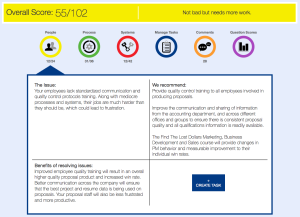 The assessment is 160 questions, built around 9 core areas of the business and provides scores and recommendations for people, processes and systems in each area. Hillmann administered the assessment to their entire team and now use the valuable recommendations, feedback and comments for their strategic planning. They initially put 10 employees through the program including a cross section of staff from marketing, accounting, Project Managers (PMs) and other technical staff. After the feedback they received from the initial team, they moved forward with having the rest of the company, another 87 staff members, participate and complete the training. They rolled the training out in July of 2015 as a comprehensive program over 20 weeks with regularly scheduled meetings to reinforce the training principles and discuss how the firm could improve. Hillmann started the training with a goal of increasing profitability by 2% and had every participant commit to “being 2% better”. They knew that with even such a small change they would see a ten-fold return on their investment in the program. They have seen some significant changes in their internal business management practices as well as in the behavior of many individuals. They now all speak a “common language” that enables them to more easily communicate about financial issues with even less experienced staff. One of the biggest pre-training challenges Hillmann identified was managing change orders which tended to create tension between their clients and PMs. They also lacked a unified process for handling out of scope requests which also caused projects to go over budget. After the Scope Creep and Estimating courses helped bring to light what a huge issue this had become, they set out to implement a new process that would work for clients and keep the additional dollars from change orders from slipping through the cracks. Change in Culture, Common Language, Increased Profits! In a bigger picture change, the team also has noted a different feel in the overall culture of the firm. After going through the training as a complete team, they began to hold each other accountable for success. Geralanne says, “by investing in everybody, everybody understands why profitability is important and how they individually affect it”. Kaz adds “we have measurable results and can point out in black and white what is working and what isn’t.” They all agree that employees in general are more aware of “finding the lost dollars”. Contact AEC Business Solutions now to discuss how we can help you get similar results! Call us at 877-356-9420 or complete the form below.